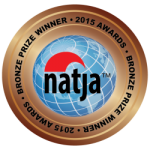 On behalf of associates, partners and supporters of Just For Canadian Doctors and Just For Canadian Dentists magazines, congratulations on your 2015 award(s) for excellence in travel writing, photograph and promotion from the North American Travel Journalists Association (NATJA)! It is an honour for our magazines that your work was chosen as winners or finalists among esteemed publications. 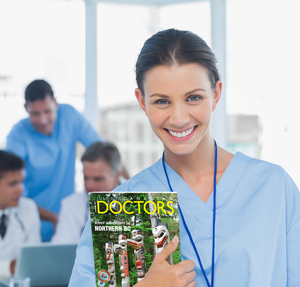 Your award-winning writing and photography continue to make our magazines a must-read for doctors and dentists. 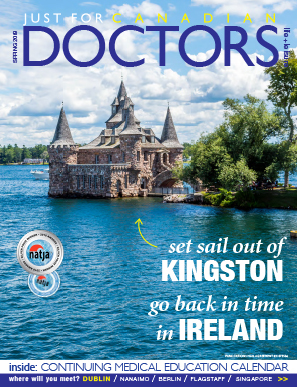 With your combined awards, Just For Canadian Dentist and/or Just For Canadian Doctors magazine published 2 golds, 2 silvers, 2 bronzes and 6 finalists! 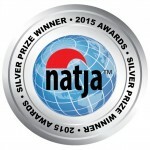 Click here to see the complete list of 2015 NATJA Awards Competition Winners and Finalists. I also want to extend our congratulations to Tim Johnson, one of our regular writers, for a winning submission that was published in another magazine! Please join me in congratulating Lucas, Jenn, Michael and Barb for their achievements. Looking forward to working with you to make 2016 another successful year. Below is list of winners & finalists featured in Just For Canadian Doctors and/or Just For Canadian Dentists. Next Next post: WIN $1000* Towards Your Choice of any CME Course.